Coconut oil is essential for creating healthy meals, but it also has many benefits for beauty care too. It’s more affordable than buying a tiny bottle of hair or skin cream that only lasts a few weeks. 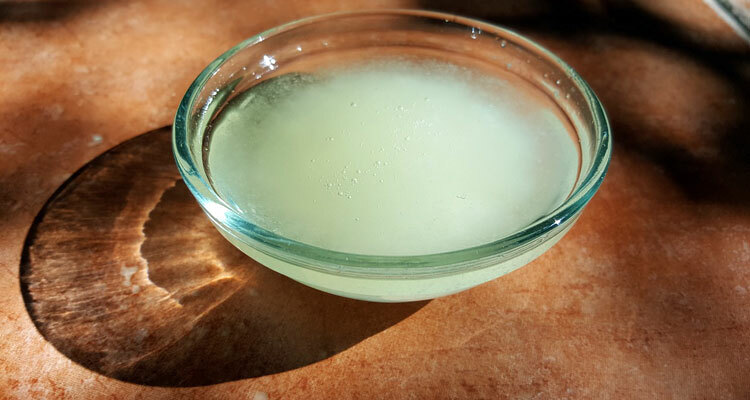 Coconut oil can also be made into homemade recipes for skin and face. It’s naturally in a solid form, but when it touches your skin it warms up and melts, making is easy to spread over hair or face. Coconut oil can also be purchased in a fractionated form that has been separated to a liquid. While coconut oil is beneficial for skin and face, you’ll want to source the best coconut oil, as some types may be better than others for your specific beauty care routine. Many of the products you find in the stores have been manufactured in a factory. It’s important to read labels to find out what ingredients you are placing on your hair. With healthy living an important consideration nowadays, it’s simply not known how substances made in the laboratory can affect our health. 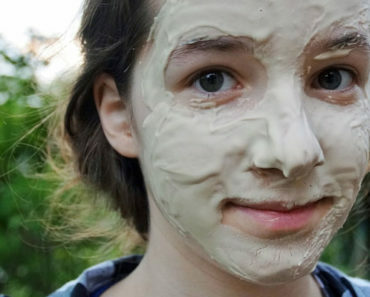 Many men and women simply do not wish to put ingredients on their skin when they do not understand what they are, or even know how to pronounce them. Coconut oil is sourced from the natural coconut tree, and is one ingredient that comes in a canister or bottle, and is sold in ounces. Even the smallest jar of coconut oil will last you far longer than a bottle of hair serum or skin serum that you purchased on the grocery store shelf. Also be aware that skin and hair care products are marked up in price. Most likely the factory in China they came from were only paid pennies for the production of a bottle of serum that you will be purchasing in the store for $20. A jar or bottle of coconut oil is better value for your money. Coconut oil also has many benefits to the skin. It can provide hydration and smooth out wrinkles. It can also help to heal skin prone to eczema, psoriasis, acne, and other skin conditions. It can eliminate dandruff from the scalp, and tame dry or curly hair. While you’re not going to go wrong with purchasing most types of coconut oil, you should be aware that there are different types so you can eliminate disappointment with your purchase. Impure coconut oil is often blended with another type of oil and can be mislabelled. This is an issue that has been plaguing the olive oil industry too. You’ll want to avoid these cheap brands. They’re often sold at discount big box stores and if the price is too good to be true, chances are that the label is deceitful. Purchase your coconut oil from a reputable brand and you’ll be assured it’s 100% pure coconut oil. Here are some of the most common types of coconut oil you’ll see for sale. It can become confusing trying to discern which will be the right type for hair or skin. It’s up to you to decide which one you want to buy. These are the five main designations you’re going to see on a container of coconut oil. There may be a few others not noted here. Fair Trade products are produced in a specific factory or farm in a country that adheres to the Fair Trade regulations and laws. This means that the product was made by producers who were offered a fair price for the trade, and that no slave or child workers were used. Organic coconut oil is grown from non-GMO coconuts, with a minimum of pesticides used. The term “Organic” can be on the label for refined or virgin coconut oil. In the past a consumer only had to worry about regular or organic coconuts, but lately it’s in the news that there are GMO coconuts being grown. It’s best to have this knowledge so you can make an informed coconut oil purchase. Fractionated means that the coconut oil will be in a liquid form, not a solid. It’s the process where its parts are divided. The liquid form will have a longer shelf life. What’s the Difference Between Refined Coconut Oil vs. Virgin Coconut Oil? Refined coconut oil and virgin coconut oil are two of the most common categories of coconut oil you can purchase. You’ll want to examine the differences between each one, so you can make an informed decision before purchasing. With both types, some refining is necessary, after all, coconut oil is derived from coconuts that grow on a tree. The distinction between the two categories is that one process uses fresh coconuts that have less refining. This means that the process that utilizes the least refining is called virgin coconut oil. Refined coconut oil will be in reference to coconut that has been already dried. This process may press the coconut meat more than once, much like olives may be repressed again and again. It’s only the first pressing of fresh coconut that is considered virgin. Should you choose a refined coconut oil or a virgin coconut oil for your hair and skin? Apparently either process is safe for your body. Previously, there were some misconceptions that one was safer than the other, but these have been disproven. With both processes, there is still a refining process which does nothing to alter the fatty acid profile of the coconut. The medium chain fatty acids are kept intact in refined or virgin coconut oils. 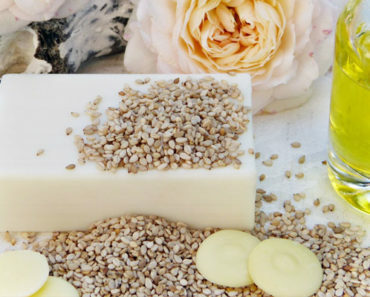 Fatty acids are essential for skin, hair, and body health. But the difference lies in the nutrients. More nutrients are stripped away from the refined coconut oil process. For this reason, virgin coconut oil will have more nutrients and it will test higher for anti-oxidants. Here are some additional tips to help you decide. Keep in mind that neither is the right or wrong choice. For smoothing hair or providing moisture to the skin, refined coconut oil will be best. If you’re making a haircare or skincare recipe, use refined coconut oil. Virgin coconut oil is better suited for healing skin conditions, such as eczema, psoriasis, dandruff, or acne, as it contains more anti-oxidants. Use virgin coconut oil when your ulterior purpose is to directly apply to your hair or skin. The price will be higher for virgin coconut oil, and less for the refined. Coconut oil is becoming easier to find in stores. It’s commonly sold with the olive and vegetable oils. Here are some tips on where to find it. Local grocery stores or supermarkets. Speciality food stores, such as vegan, vegetarian, or gluten-free. Directly from the manufacturer’s websites. You may wish to avoid purchasing no-name brand coconut oil from big box grocery retailers. This type of coconut oil will be inferior to others with official USCA labelling, and may be mixed with cottonseed or other oils of questionable quality. A quality coconut oil is not expensive, as a container costs around $12, and can last for several months of skincare and haircare routines. Don’t be tempted into buying that $4 bottle. It’s not worth it. Here are five of the best coconut oil brands to buy on Amazon. To help you choose the best coconut oil, here are five reviews of the best coconut oil brands. 100% certified USDA organic and pure. Extra virgin unrefined, unfiltered, and cold-pressed. Non-GMO and free of pesticides, bleach, hexane, and trans fats. Viva labs coconut oil is sourced from fresh, handpicked coconuts that have been chosen for their freshness. This oil has passed the USDA requirements for being certified organic and extra-virgin. This oil can be used for a variety of purposes, from cooking, to using for your hair and skin beauty routine. The coconuts are grown for Viva Labs in the Philippines. They are grown in soil that is rich in volcanic ash. Palm trees thrive in this region, and some of the best coconuts come from here. Viva Labs works with local coconut growers in the Mt. Banahaw region, choosing only the best-ripened coconuts. The coconuts are cold-pressed within a few hours of picking to extract the coconut oil. This enables them to retain their nutrients and antioxidants. This virgin coconut oil retains a silky-smooth delicious coconut flavour. Fractionated coconut oil is in liquid form. Clear blue glass 16 ounce bottle with pump, 1 pound. Odourless, non-greasy, non-staining, and colourless. Nourishes, moisturizes, and softens without a greasy feeling. Radha’s Fractionated coconut oil is perfect for hair and skin needs as there is no need to warm it up in your hands. The handy pump dispenser will keep mess to a minimum. It’s the perfect oil for use in massaging, and to make into hair and skin recipes. To use on hair, rub it in first, and then shampoo and condition. To use on the face, simply rub a few drops in. It’s safe to use around eyes, nostrils, and ears. 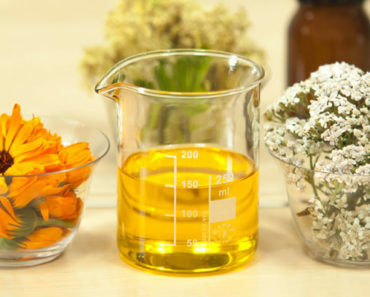 This oil has disinfecting properties that will help to heal the skin and it will not clog pores. The liquid form makes it stabler, with a longer shelf life. The liquid will also go on more smoothly and quickly, not having the clumpiness of regular coconut oil. 16 ounce bottle with snap cap. Multipurpose and great for all skin types. Beneficial for hair growth and soothing dry skin. Premium Nature coconut oil comes in a tall bottle for easier application to skin or hair. It’s a high-quality coconut oil that is suitable for sensitive skin types, and will not aggravate any pre-existing skin conditions. You can use the liquid to make into other skin or hair care recipes. It can also be used for aromatherapy or massage sessions, and is perfect for people who have itchy, flaky skin. This coconut oil contains has a good balance of saturated fats. This will enable hair to grow thicker and longer. People who have frizzy hair will find their hair becomes softer and more manageable with regular usage. The liquid will also be better able to penetrate into the skin, making it softer. It’s also beneficial, as you can use it on your body and then get dressed in the morning, without having to worry about staining or ruining your clothing. It’s an affordable way to soften hair or skin, as the bottle will last you several months. Liquid oil in 16 ounce bottle with pump. Highest grade available with 100% purity. Suitable for providing skin or hair moisture. Molivera coconut oil is a trusted brand and promises that it’s the purest coconut oil you’ll find, free of other ingredients. Their coconut oil is in liquid form, making it suitable for a variety of skin or hair uses. It can be used for sensitive skin and is perfect for an anti-aging oil to keep skin soft and smooth. It will decrease the appearance of fine lines and wrinkles, making skin glowing and youthful. Liquid oil can better penetrate the skin’s surface than solid coconut oil, and will speed up the healing process for people with red, dry, or scaly skin conditions. This fractionated oil will last longer than solid coconut oil and will not go rancid. It has a long shelf life and comes in a darker brown bottle to protect it from the sunlight. It also won’t stain fabrics so you can feel confident in applying it in the morning, and not have to worry that it will make a mess. 8 ounce container with twist lid. Solid, pure extra virgin coconut oil. Designed especially for beauty care, not cooking. Has a 5 star rating. COCO&CO coconut oil is high-grade, and suitable for providing essential vitamins and nutrients for hair and skin. It can also be used for a variety of hair or skin conditions, such as getting rid of dandruff, soothing eczema or psoriasis, itchy skin or fungal infections, and treating damaged, dry hair. This oil has been made from freshly harvested coconuts that have been picked no earlier than two days. The cold pressing process ensures that the temperature never reaches 104°F. After cold pressing, the coconut milk emulsion is chilled down to 50°F. The mixture is then spun to pull out the coconut oil. This coconut oil is high grade and is versatile for all skin or hair applications. It does not have a bad smell, having a pleasant fresh- coconut smell. There is no discolouration as it has a 100% cold-pressed purity. It has a silky texture that is perfect for application to skin or hair. You’ll be able to think up many uses more uses for it. Here are some tips on how to store coconut oil in your home. Store it in a dark cupboard. Store it in a cupboard that is not right beside a large appliance. Keep the lid firmly sealed. Store it in its original container, unless you have made your own recipe. If you’ve made your own skin or hair care recipe, store it in a dark container with a sealed lid. Use only the amount you need, as you can use your container of coconut oil for many other health and beauty purposes. Store it in a kitchen cupboard, as a bathroom may suffer from heat or humidity. Use a clean spoon to remove coconut oil from the container to avoid contaminating it. 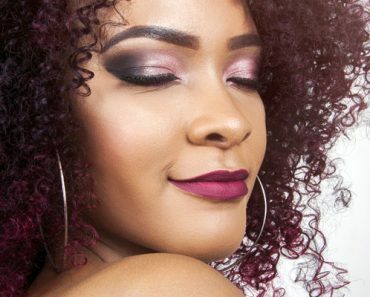 Once you discover the benefits of coconut oil for your hair and skin you’ll want to stock up on the best brands. Be sure to buy two containers—one for cooking—and one for hair and skin. Coconut oil will become an essential part of your beauty routine, and once you have sourced the best places to buy your coconut oil for skin and hair, everyone will admire your healthy natural glow.